From full-blown workouts to your everyday movements, fitness trackers help you keep an eye on improved health and vitality. Naturally, as with most things nowadays, there is a vast selection when it comes to options; so much so, that people are often duped with fake or counterfeit products, costing them money, effort and time down the line as well. Fitness trackers, in particular, happen to offer a level of convenience and efficiency that’s unmatched, especially as they directly monitor your body’s functionalities, accurately recording them for your utmost well-being. It even measures the quality of your sleep. Which is why, it’s more important than ever to invest in the right ones, which can be admittedly easier said than done. Fitness trackers now come in a dizzying array of varieties, so to help you get your hands on the best cheap fitness trackers, here’s a handy guide to direct you. These are all budget-friendly, cheap fitness trackers under $50, so you can look forward to a healthier lifestyle more cost-efficiently. This one comes in a delightful range of colors that’d make choosing one a very difficult choice. 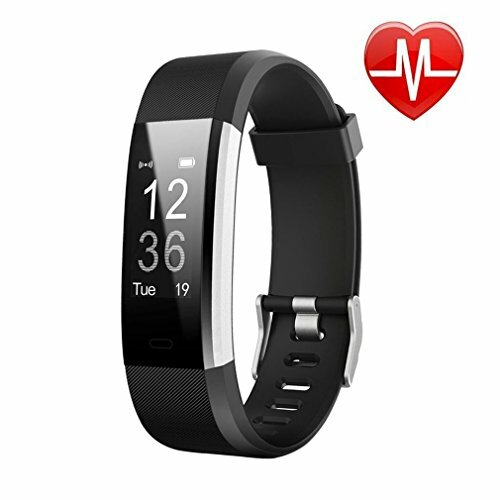 Not only is it a fitness tracker, it’s also a fitness watch with a heart rate monitor, step counter, sleep monitor, GPS tracker, and a waterproof smart wristband, so it can stand up to all types of activities. Additionally, it’s also compatible with both Android and iOS. It also includes 8 default sports modes, with the ability to add on 6 more in the app. 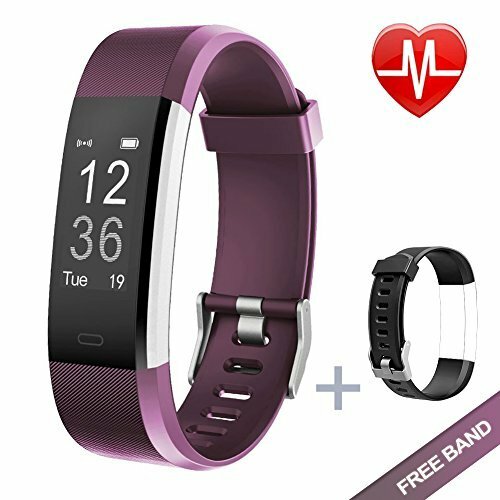 What’s perhaps most impressive about this, is that it has automatic wrist-based heart rate tracking, so you can monitor your heart rate consistently and effortlessly. Plus, it also offers a history of your heart rate, so you can always check back. Check your calories burned, whilst also being able to tend to your calls and messages with the handy Call Alert and Hang up, Message and SNS Remind as well. The Lintelek Fitness Tracker is a number of other things as well, making it a great choice on your search. This too is one that comes in a riot of colors, so no matter what your mood, purpose or preference, you can mix-‘n-match accordingly which we absolutely love. You can also look forward to tracking your daily steps, how many calories you’ve burned, keep an eye on your heart rate, and aside from all this, even keep up with your other work as it puts through calls and messages. The quality of your sleep is just as important as working out, and this fitness tracker helps your monitor just that. You can not only check how long you sleep for every night, but also how well. If you need to take medication in the middle of your sleep, you can set an alarm to wake you on it as well. Choose from 14 sports modes for enhanced selection, and enjoy a personalized experience all-round. Xiaomi is the best known budget brand in China. The Mi fitness brand is aimed at budget users worldwide who want an affordable gadget with all the features of a more expensive fitness tracker. Make sure you purchase the US version of the Mi Band 2. The Chinese version doesn’t support English instructions. The band is beautifully and ergonomically designed with a carefully placed button. The OLED display is really bright and is quite visible during daytime. A pedometer, a sleep tracker, heart rate monitor idle alert reminder, and free app. You can basically get everything you need to keep track of your body during an activity. The heart rate monitor calculated by beats per minute. Don’t place too much trust in the accuracy level of the pedometer. The band of the fitness tracker is very smooth. It’s designed for people with sensitive skin to wear comfortably. 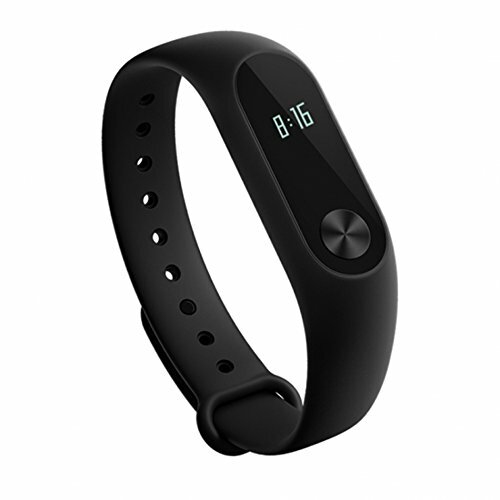 The fitness tracker is IP67 water resistant. You can wear this when hand washing or walking in the rain. However, don’t actually dip the gadget in water. It is supported by Bluetooth 4.2. It comes with a cable for charging, so no built-in USB charging. Fitness trackers aren’t supremely complicated devices to understand and work with, but you should read up and research on as many as possible, so you have a thorough insight into what to expect. As these are budget fitness trackers at under $50, there’s, of course, a limit to what you can expect, but all those we’ve featured here offer a wide range of functionalities suited for everyone. These are some of the key things any fitness tracker should be capable of, and so should be useful in your search for one. If there are a few things we could stress on, it would be to first ensure that the fitness tracker you’re after is compatible with your smartphone/tab and that you read carefully on its waterproof capabilities. Whilst these are all waterproof, sweat-proof and more, sometimes they’re not waterproof all the way through. So for instance, there are trackers that shouldn’t be submerged under water for more than 30 mins. Best look into it well, as failure to comply could result in your warranty being void.